We are proud to introduce the newest products in our softgoods collection: STURMFIST Gloves. 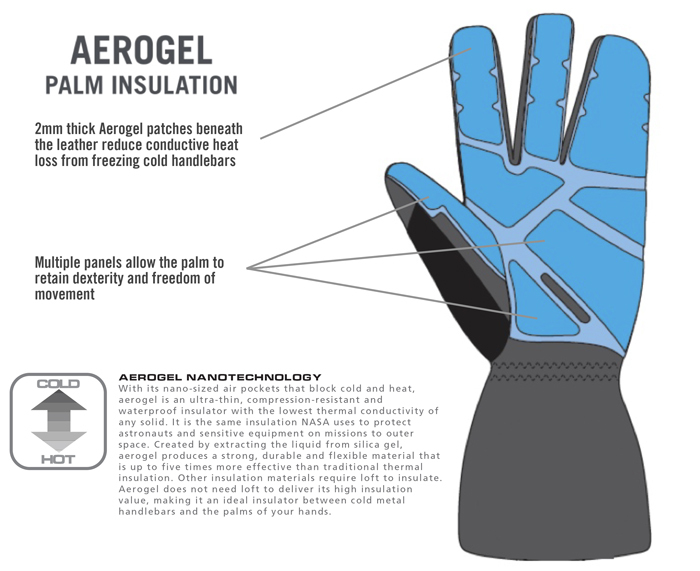 Designed for riding in the coldest of conditions, Sturmfist is the first cycling glove collection to use a layer of aerogel insulation in the palms to address the conductive heat loss caused by frozen handlebars. Blocking heat transfer from your hands to your bars keeps your hands warmer from the beginning of your ride to the end so you can focus on riding your favorite groomed single track, not on your cold hands. The gloves utilize a Polartec NeoShell® outer combined with Polartec Alpha® insulation on the back of the hand to provide an unprecedented level of warmth, breathability and resistance to the elements. Paired with Pittards® water resistant goat leather on the palms and a 100% merino wool lining, the Sturmfist glove collection will keep your hands warm and comfortable in the most extreme winter riding conditions. The Sturmfist collection will be available in two different models. The five-fingered Sturmfist 5 incorporates a 100% Merino wool liner for total moisture control and keeps hands protected in 15–35ºF conditions. For days when the mercury plunges below 15°, there’s the four-fingered Sturmfist 4. Utilizing a double glove design, Sturmfist 4 features a removable 100% Merino wool liner glove, and is rated for more frigid, 0–15ºF days. The Merino wool liner is also available separately to be used as a replacement for mid-ride freshness, or with 45North’s Cobrafist pogies. For the ultimate blend of wool and insulation technology, Sturmfist 4, Sturmfist 5, and the Merino Wool Liner will be arriving at retailers next week for $130, $100, and $50, respectively. All pieces in the collection will be available in sizes 7(S), 8(M), 9(L), and 10(XL).